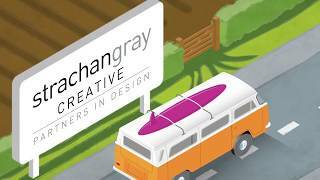 Based in Glasgow, I am a partner in strachangray creative, a small creative resource company providing illustration, artwork and design to our own clients as well as supplying ser… Show more. Send a message directly to Douglas Strachan. Based in Glasgow, I am a partner in strachangray creative, a small creative resource company providing illustration, artwork and design to our own clients as well as supplying services to other companies throughout the country.